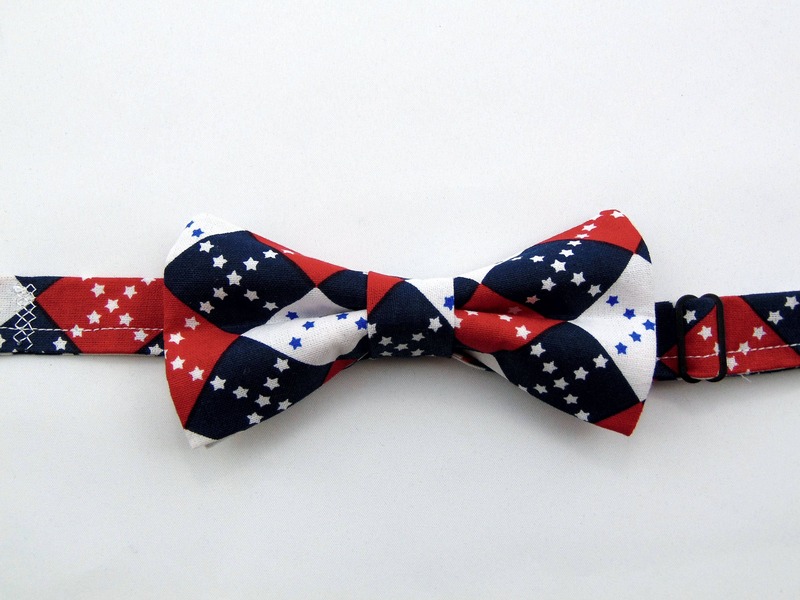 ID# 218JA-BT 100% Cotton 4th of July Independence Day Men's Bow Tie. Colors Red, White and Blue. 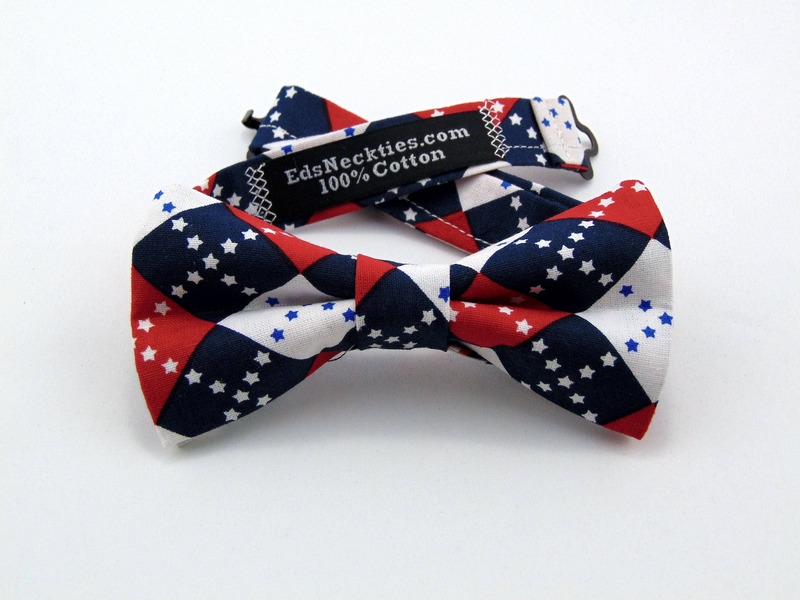 If you're not 100% happy with your Bow Tie I gladly accept returns and exchanges, Just contact me within 14days of delivery. I accept custom order requests. Select from one of our many options and let us know what total Length you would like. Allow for a 1/4” variance on all dimensions. You may also go to www.Fabrics.com select from one of their thousands of cotton fabrics. 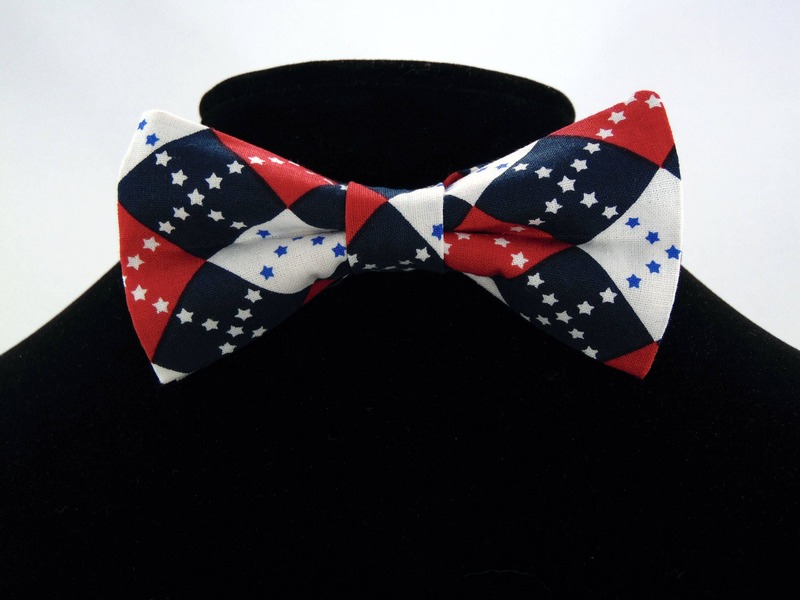 If you would like to select from www.Fabrics.com please allow 2 weeks for me to receive the fabric you requested and make the bow tie.